> Experience in Automation using Selenium & Java . > Experience in Automation Framework development. > Knowledge of system testing and software quality assurance best practices and methodologies. > Strong analysis skills related to service specific tasks and troubleshoot complex system defects and errors. > Experience in Developing Automations for Dynamics AX Modules using X++ or Experience in C# Development/Automation and willing to work in X++ automation for Dynamics AX. > Good knowledge on ERP. > Ability to understand application requirement given by client/ business team and he/she should be able to prepare documents for test cases, test scenarios for provided requirements. > Candidate must be familiar with different type of software testing techniques. i.e. Functional Testing, regression testing, sanity, and smoke, Browser based testing, Responsive application testing. > Candidate must have exposure in web application testing and Mobile app (iOs or Android) testing. > Must have understanding about different aspects of web sites security. > Must have knowledge about defect/ bug reporting and its life cycle. > Knowledge of web services testing (REST and SOAP) would be preferred. > Knowledge of Selenium webdriver and Jmeter would be preferred. Company Name : MS Technology Pvt. Ltd.
> Experience in Automation Testing using Selenium. > Develop and maintain test cases and Automation test scripts. > Test application under stiff timelines and requirements. > Writing quality scripts for testing automation and execution, utilizing automated testing tools. > Use bug tracking tools (Bugzilla) to report bugs. > Must have test automation experience for web-based platforms. > Well versed with Java. > Expertise in Software Testing methodologies. > Good understanding of V-Model lifecycle, Requirement management tool, Defect tracking tool to have complete traceability of requirements with testing. > Develop Test plan and test strategy meeting functional requirements, user stories, and user acceptance criteria. > Good understanding in checking/validating API response. > Identifying Test Scenarios, edge cases and suggesting improvements. > Ability to work in a fast-paced Agile environment. Matrimony.Com Address: Arihant e Park, Lattice Bridge Road, 2nd Floor, Baktavatsalm Nagar, Adyar, Chennai, Tamil Nadu 600020. > 4 to 7 years of relevant experience. > Experience with Selenium, Cucumber or equivalent Automation frameworks. > Mastery over Java collections and Java OOPs. > Good Communication and Problem solving skills. Company Name : eNFLUENCE IT Services Pvt. Ltd.
> Good Selenium resource with Java. Contact Company : eNFLUENCE IT Services Pvt. Ltd.
> Interested professionals can forward your profile to iniya@amtexsystems.com or call 044-4299 7546 for more details. > 3+ years experience in the design and implementation of performance test scenarios. > Should be able to code and develop web applications/utilities in C#, Java, etc. > Demonstratedanalytical and problem solving skills in a technical environment. > Good team player with the ability to handle multiple concurrent priorities in a fast-paced environment. > Strong interpersonal, written, and oral communication skills. > Strong proficiency using HP LoadRunner and Jmeter. > Strong proficiency using HP LoadRunner. > Database knowledge (MS SQL Server); able to write complex SQL queries and understand data relationships. > Ability to analyze and segment performance data. > 3 to 5 years of quality assurance testing experience required. > Exposure to unit testing frameworks (like, PHPUnit), is a plus. > Exposure to Command Line Interface, is a plus. > Participate as a manual tester on projects as needed which includes validating QA builds and defects. Company Name : Xcaliber Infotech Pvt. Ltd.
> Proficiency with Java, Selenium Web driver. Comprehensive knowledge about automation testing tools, custom framework, ability to review Java, Groovy and SQL scripts. > Proficiency to define highly complex automated test cases and scenarios. > Proficiency with web/rest services automation testing tools to include (but not limited to) JMeter, SOAP UI, Rest Assured etc. > Strong analytical and troubleshooting skills, including requirements analysis and basic application architecture knowledge. > Experience with defect tracking/management software and ability to formulate metrics. > Working knowledge of Database, ability write basic queries using SQL Plus and/or use correct filters using TOAD for Database verification. > Knowledge with performance and load testing tools to include (but not limited to) JMeter, LoadRunner etc. Contact Company : Xcaliber Infotech Pvt. Ltd.
> Excellent analytical and problem solving skills. > Self motivated, quick learner, with good verbal and written communication skills. > Knowledge of Siemens Industrial Automation products (SIMATIC Process Historian, WinCC, WinCC-UA, and Information Server) is highly desirable. 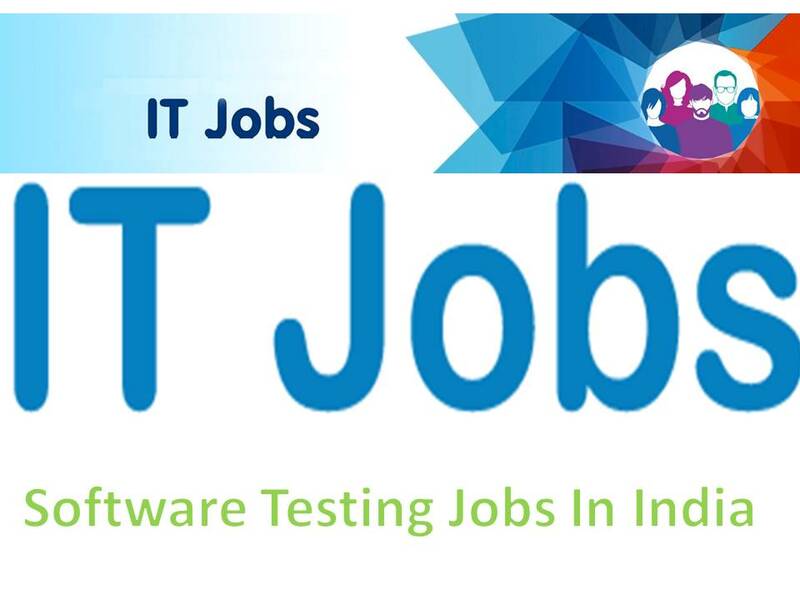 > Looking for a Test Engineer/senior Test Engineer having manual testing experience in OSS/ BSS application in the telecom domain. > Good knowledge in PL-SQL, Web Service Testing, SOAP UI, Unix are mandatory. > Must have experience in Test methodologies, testing process, planning and deliverables. > Must have experience in in test OSS/BSS systems in the telecom domain and IoT Applications. > Member should able to build automation test strategy, planning and good at documentation. > Experienced in Agile and waterfall development model. Company Name : T2S Software Solutions Pvt. Ltd.
> Review the designs of systems and features to ensure test-ability.